Unless you’re simply in need of vehicle transport, you don’t want to be in a situation where you need a towing service. We understand that as well as if you do need a towing service, you’re possibly in a dire situation, that is, your car is broken down and you’re stuck in the middle of nowhere. At Amarillo Wrecker Service, we’re always ready with the best towing service in the Panhandle. We provide our 24-hour towing service in a friendly, professional manner, with the experience, equipment, and know-how to handle any contingency or emergency in the Carson County TX area. To top it off, our rates are affordable as well. Each of our towing service technicians and drivers at Amarillo Wrecker Service has the training and experience to handle any type of towing and recovery job from accidents to roadside assistance, no matter the type or size of the vehicle involved. Our staff are certified and licensed through the state of Texas and will always treat you like one of the family. Whether you simply need a jump start, need a tire changed, in need of fuel or your vehicle is out of commission, we’ll get you and your vehicle home. We understand that when you call us, it’s an emergent situation for you, and we’ll be there to help, any time, any day, anywhere in the Carson County area. Our 24-hour towing service at Amarillo Wrecker Service is affordable and available anywhere in the Carson County area. So don’t worry, a simple call to us at (806) 666-6965 is all you need to get you either back on the road or to get you and your vehicle home. Call us today, we’re here to help! Towing services are typically underrated and even worse ignored. A lot of people do not usually see the value of the service until the worst has occurred. Fuel outs, flat tires, jump starts, winch outs, bad weather, lockouts, and accidents are a few of the most typical roadside occurrences reported. 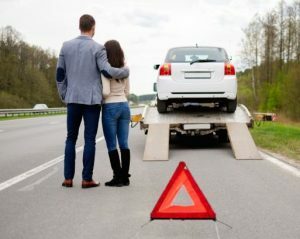 While your car breaking down may be unexpected, calling for a tow service is a lot easier and safer than trying to repair the problem yourself. If you are unfamiliar with a car, trying to deal with a problem by yourself could even damage your car. If you can manage it, have an annual or bi-annual membership with a tow company, as it will come in handy in those unexpected moments. When calling for a towing service, among the ways in which you can get expedited assistance is always to provide the necessary information to the dispatcher. Nowadays most towing companies employ an automated locator service that will determine your specific location in Carson County, but it doesn’t hurt if you can provide additional info like the closest landmark. The more precise your details, the better it is to get quicker service and the quicker you will be back on the road. In this age of technology, some companies have gone a step further to have applications that can be set up on your phone, eliminating the need for phone calls. This makes the process much faster and cuts down on the amount of time it may have taken to be talking to their customer service assistants. If the company that you are utilizing has an app, start by utilizing it and only follow up with a call for extreme circumstances or if you still feel the need for human interaction. It also offers you a platform where you can quickly provide a description of your problem to the very last detail. By doing this, you minimize your downtime and make sure the tow company dispatches proper need-based help aside from just sending the tow truck. The sense of urgency will determine the response time of the tow company. 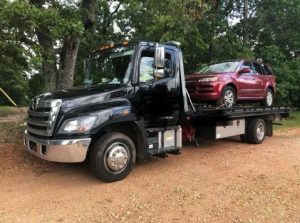 While a company may strive to provide the best towing service there are always uncontrollable factors that could delay the arrival of the tow truck. For instance, the tow company in Carson County will place a high priority in responding to major accidents in comparison to a flat tire. Servicing your car not only ensures your car is in its proper form, but it also provides you with insight about your car that you can share with the tow company in Carson County TX. As previously pointed out, it is better to be safe than sorry. Where possible, take all extra steps to minimize roadside incidents. Minimizing roadside incidents can also be as easy as understanding your surroundings and weather, not using your phone while driving, monitoring your control panel diagnostics to eliminate breakdowns and finally practice good driving practices. Carson County is just one of the many counties in Texas that we serve.